The California Roster, also known as the Roster of Public Officials, is a listing of California's public officeholders, including our United States government officials, the Constitutional officers, members of the State Senate and Assembly, the Judicial branch, county officials, and Incorporated city and town officials. It also includes a history of California's office holders, descriptions of the state emblems, a listing of all state agencies, departments, boards and commissions, a listing of the unincorporated areas, and information on the state officials for each state in the nation. 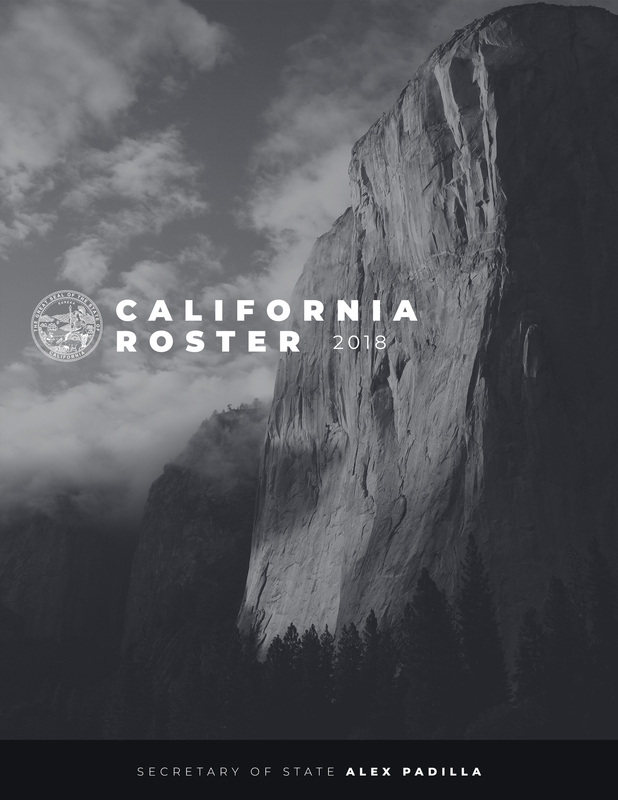 The California Roster has been made available exclusively online by the Secretary of State since 2005. You can view the complete 2018 California Roster in whole or sections.